Take a tour of our 8000 sq. ft. laboratory. 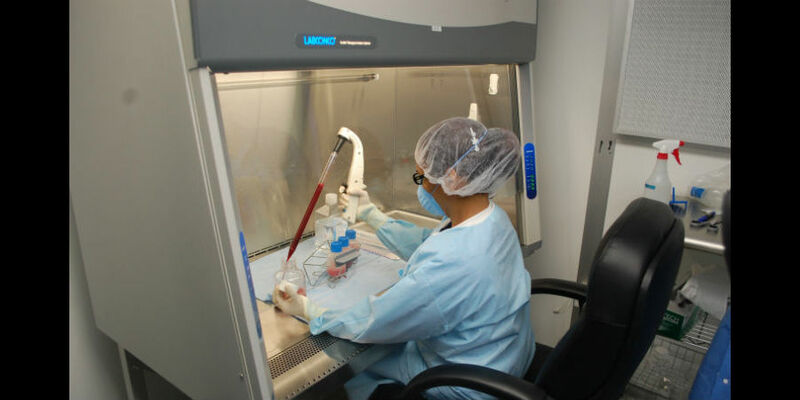 See inside our 3 class 10000 clean rooms and go under one of 8 class 100 laminar flow hoods to see how human umbilical cord tissue-derived mesenchymal stem cells, human bone marrow mononuclear cells, and human adipose stem cells are isolated, processed and and tested. 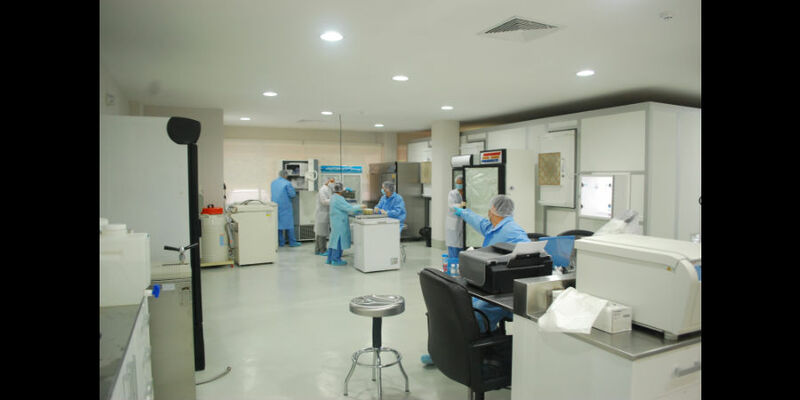 Lab technicians working in the general lab space. 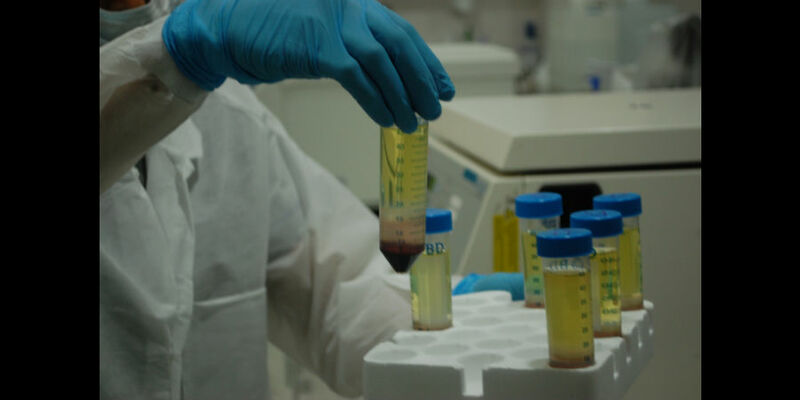 Cord blood following density gradient separation. The clear layer contains the mononuclear cell fraction. CD34+ cells are isolated from this layer. Umbilical cord matrix-derived stem cell culture. 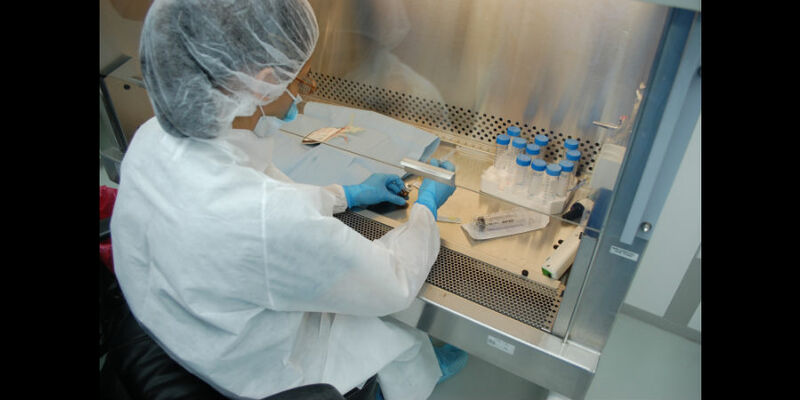 A lab technician is placing culture media into a cell flask. 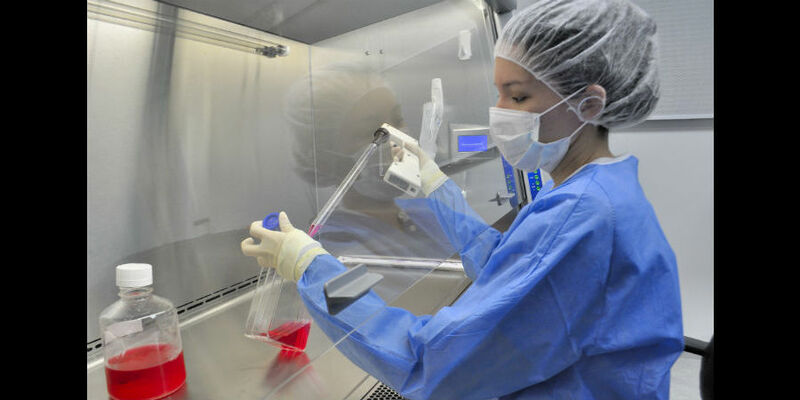 Preparing cord blood for sterility testing. 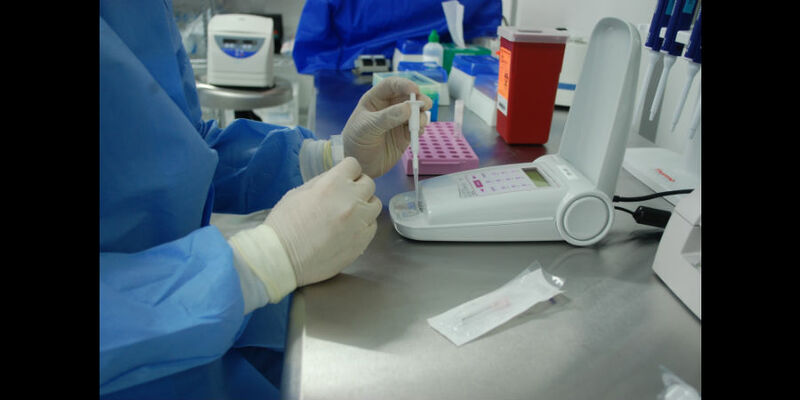 Every sample (all cell types) undergoes stringent sterility testing. Adipose (fat) stem cell processing under class 100 hood. 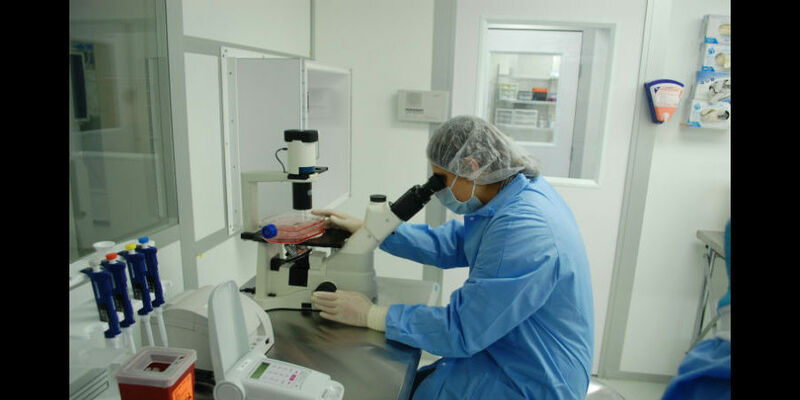 Every stem cell batch is tested for the presence of endotoxins. This method is approved by the US FDA. 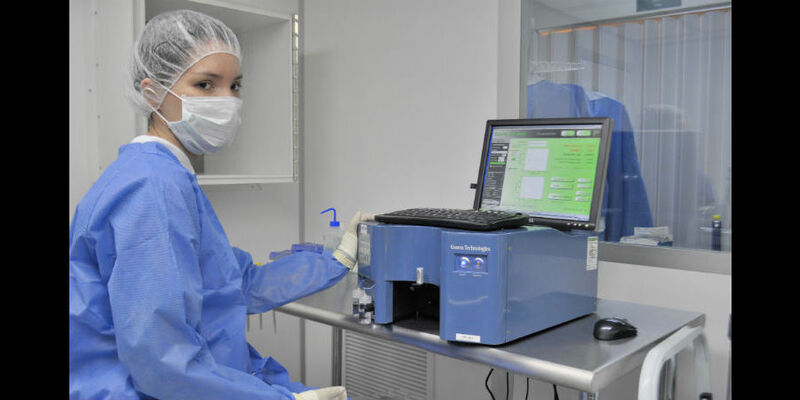 It is an important step in the GMP process. mesenchymal stem cell shape, morphology and expansion characteristics. 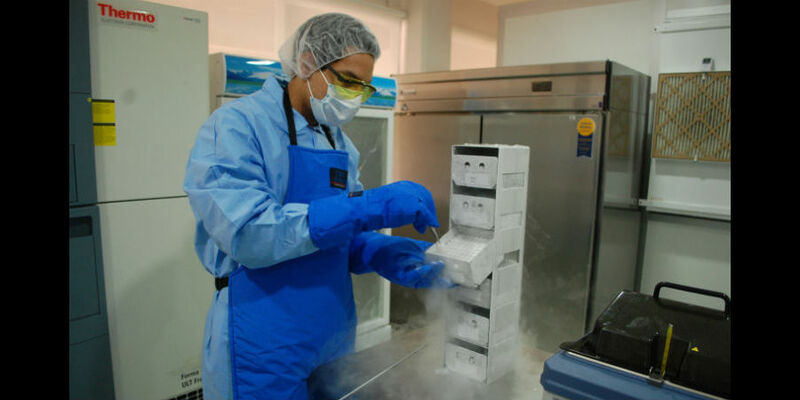 Stem cells being stored in controlled liquid nitrogen freezers for later use.